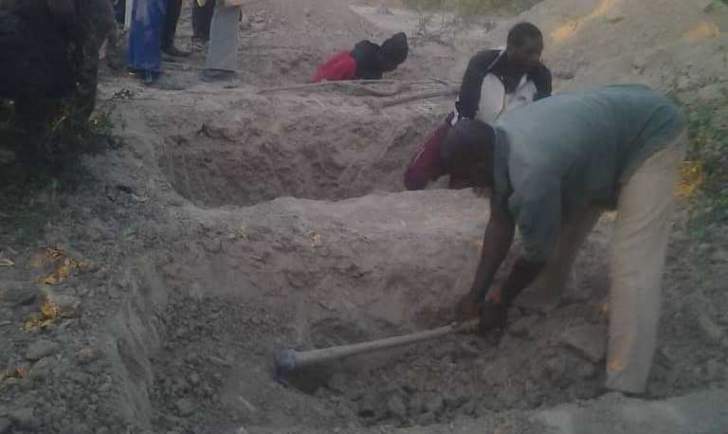 More than 1000 mourners, including some South Africans attended the burial in Sanyati Zimbabwe of the four of the slain Zimbabweans. Each mourner had his-or her own profound reasons for being at the funeral in Sanyathi and Glenview to witness the burial of Four members of the same family who died in the inferno believed to be linked to the Xenophobic attacks which were called upon and encouraged by President Ramaphosa of South Africa last week. 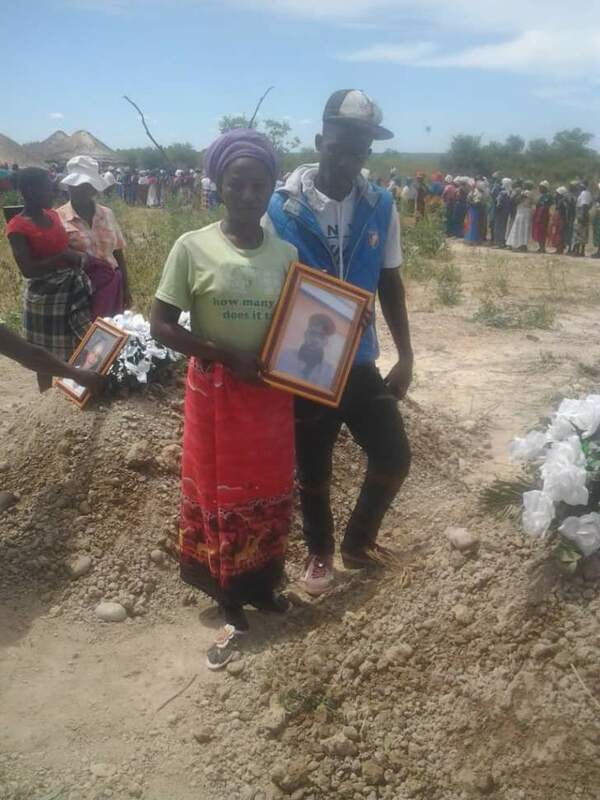 Scores of people came and many of whom escorted the four coffins containing the bones and ashes of two adults and two children to their final resting place, this was a moment – a chance to finally, symbolically, grant their mothers and fathers, brothers and sisters Zimbabweans at large an opportunity to see the cruelty of staying abroad. 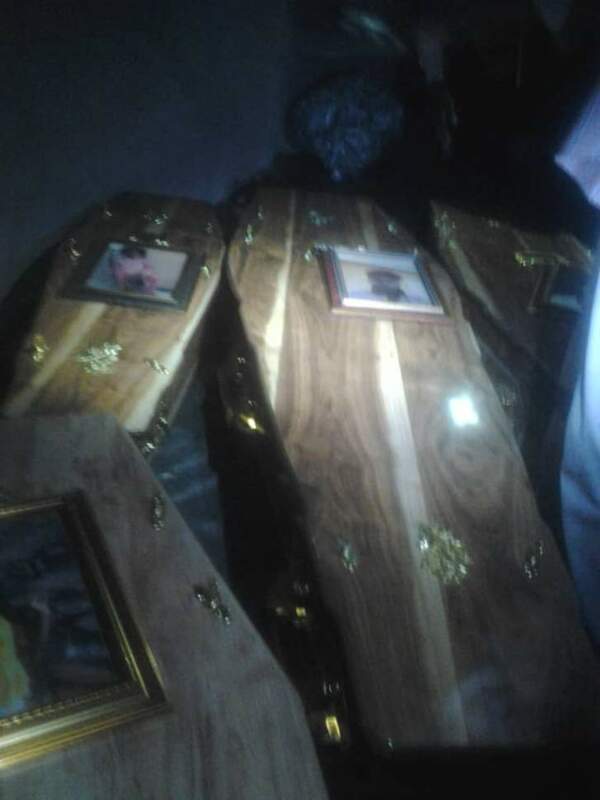 Others among more than 1000 mourners were there to bear witness to a momentous moment in Xenophobic aftermath history Zimbabwe's first funeral for Citizens who died in the time when Xenophobia was in progress. The son of the land Lord who was heard earlier on shouting hate words towards the deceased telling her mom that the Kwerekweres will be burnt alive and let us see if you will get the money you are refusing to give me has not yet been arrested. The police have not yet apprehended any suspect. In most cases where foreigners are victims, the case is never taken seriously. In more than six hundred Xenophobic deaths in South Africa despite some offences committed on camera no. Arrests have been made. Not even one person was questioned. Despite the South African government dismissing the attacks as criminal activities no criminal has been convicted let alone arrested. This clearly shows where the order is coming from. The remains were transported to Zimbabwe for burial. One could not hold tears back as the innocent children and their parents were lowered down to be covered in the cold dust to wait for the Lord to come again if he will indeed come. There was nothing heartbreaking to see the parents relatives and friends all overtaken by grief and plunged into the pool of tears. Nothing could be done to comfort them but to put their hope in the hands of God. Some could be heard asking where was God when this South African set fire on the house killing seven family members injuring four. One asked: "Whose ashes are you? From where have you come? How is it possible to articulate our pain? For the ashes of our families, for the dust of our communities. For the broken tables of our people. The remnants of our youths and elders, our brides and grooms, our sons and daughters, our pastors and our leaders, our schoolmasters and school mistresses, our parents and infants. After a painful death, you have come to rest – perhaps your place can begin to comfort us." In a deeply poignant address which moved many to tears, a man identified only as mufundisi spoke personally to the infant among the four saying: "Your young life was robbed. You experienced such fear and dread, then the ultimate wickedness saw your life taken in cruel fire. We don't know who was it we only know why was it done, But we do know you were an innocent Zimbabwean All of us here feel a strong connection to you. God will one day help us to forgive the South Africans. God will help the South Africans to remember this cruelty. By fire they extinguished your life now you will sleep in the cold earth. You are the child of the soil you will go back to the soil. Someone will seek justice for your life. We will not be barbaric like our brothers in the South. We will out these lives before God and God in His wisdom will find peace in our hearts. But for now we will have to find a doctor to heal our broken hearts. They bleed but it will be well. For it is well in my soul "
"A tiny coffin has enough space for you all. You were stripped of all dignity in life and in death," said One preacher quoting the UK Chief Rabbi Ephraim Mirvis in eulogy. "We don't know your pains but God knows your comfort For so many Xenophobic victims, no Prayer has ever been said for them. But there is a God and he hears your pain and suffering. The Zimbabwean family had fled to Cape town to escape the hunger and poverty All 7 of them including four children died in a house fire. The sight of four coffins Unimaginable. But that's the grim reality the Mazungunye and Vare family faces after all seven of the family's children died in a house fire in Cape town South Africa. The family from Zimbabwe sought refuge in South Africa to escape the economic melt down in Zimbabwe that's decimated their home country. They got more than they expected. They paid for their hard work with their own lives. The family was staying at number 2219 Sanqoba Street Chris Hani Mbekweni. Cape Town. They were all buried in Sanyati Zimbabwe. A very dark cloud was cast upon the lives of the family and friends. It was not a dream. It is real they perished in the inferno and their killer is free and boasting. The deceased are named as Maxwell Mazungunye born 13 December 1978 his wife Margaret Vare born on 13November 1992 . Children Mirriam Mazungunye born on 8 May 2002 .Tadiwanashe Mazungunye born on the 21 December 2012. Three of the family members survived the inferno with life threatening burns. They are at Paarl Hospital intensive care unit. They are Vanessa Mazungunye born on the 20th February 2002 Tatenda Mazungunye born on 21December2012 Mikeiler Mazungunye 9Months 2018 Mikleiler is admitted at Red cross Hospital burns unit Cape town. The survivors of the blaze in the were taken to hospital after neighbours reported hearing "popping" and "explosions" coming from the house in the early hours. Pictures from the scene show the roof of the house destroyed by the blaze and emergency workers continued to work on the house mid-morning. Witnesses could hear small pops and explosions coming from the house". They were 10 people in the inferno but seven others were tragically pronounced dead at the scene. The shocking deaths comes after president Ramaphosa rallied his killing machines to deal with foreigners. The Xenophobic attacks on all foreigners has increased and political parties are using the foreigners as their campaign collateral damage. ANC is determined to win at all costs. They will paint their victory with the blood of the foreigners. Last week president Ramaphosa was forced to clarify his position on Xenophobia. He called those attacking foreigners as criminal elements. Surprisingly his U turn speech was just loud sounding nothing it came too late as relatives wet their cheeks with tears and victims with no limbs lick their wounds. The shocking thing is that only black foreigners are targeted. This is a black on black violence supported by Ramaphosa and his cabinet. African governments had voiced their concerns and they have pleaded with their nationals not to revenge in any way. Eye for an eye makes the world blind. The leader of the opposition party comrade Julius Malema has come out denouncing this black on black violence. Malema leads the EEF which is an upcoming and strong force to recon in South Africa. Malema described these killings as barbaric inhuman and indeed un African. Meanwhile the family has thanked all good people who assisted in ferrying the bodies home for burial.